“Special Products" group a broad range of products and cover disciplines such as emergency diagnostics, electrolyte- and waterbalance, hypertension/endocrinology, cardiovascular, vitamin status. Intoxication with Amanitin has been reported to be lethal in up to 25% of all cases and the mortality rate in children under 10 years of age is above 50%. Therefore, this intoxication should be ruled out in all patients presenting gastrointestinal symptoms after a mushroom ingestion. 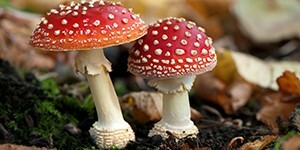 Amanitin analysis in urine is a valuable diagnostic tool and does significantly contribute to the management of mushroom poisoning. Anti-diuretic hormone (ADH, also known as AVP) is a peptide hormone and acts as effector hormone of the hypothalamus for the regulation of the water balance. 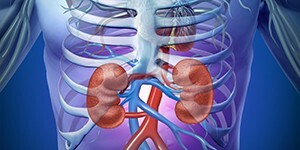 ADH acts on kidneys, concentrating urine by promoting the re-absorption of water from the cortical collecting duct. Decreased ADH release leads to diabetes insipidus, a condition featuring hypernatremia (increased blood sodium content), polyuria (excess urine production) and thirst.